A lifetime dedicated to family, the armed services and healthcare was honoured when Jubilee client Geoffrey celebrated his 100th birthday with 80 family and friends in late May. 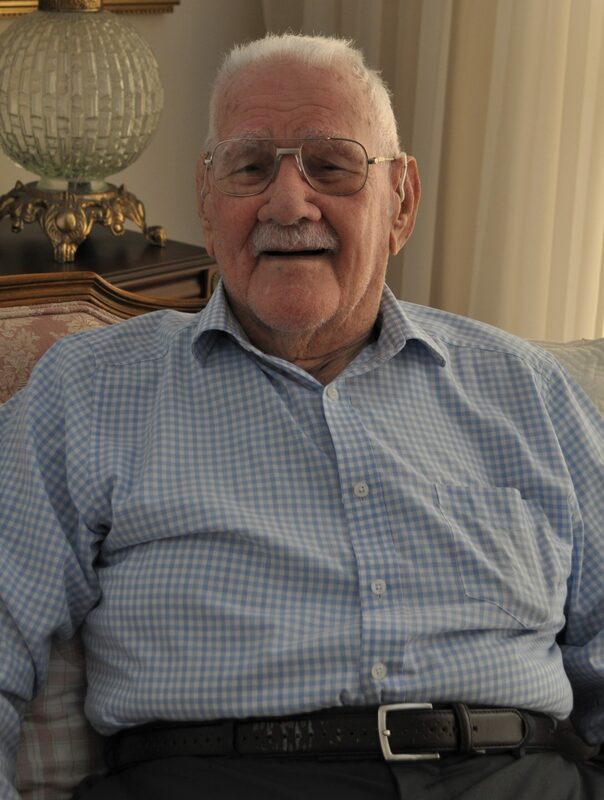 Geoffrey, of Chapel Hill, almost 50 years working as a doctor after three years in the New Zealand Army, working in the YMCA’s mobile canteens and in the Regimental Aid Post (RAP) near Cairo and in Italy from 1941. Time in the RAP as a stretcher bearer gave Geoffrey his first taste of medicine. Geoffrey returned to New Zealand in 1944 after being wounded and was appointed a Member of the Most Excellent Order of the British Empire. After his experiences in war he was determined to study medicine, despite not finishing school and being told by teachers his efforts to pursue it would be hopeless. After much persistence and hard study Geoffrey was accepted into the University of Otago’s Dunedin School of Medicine. He graduated in 1954, age 36. That same year Geoffrey met his wife Thelma and they married in December before Geoffrey took up his first position at Invercargill Public Hospital in early 1955. Longstanding work in university student health services followed, including a one-year exchange to Delaware, America. In 1977 Geoffrey, Thelma and three of their four children moved to Australia. Geoffrey began work at the University of Queensland’s Student Health Services, continuing there for seven to eight years. Also very much part of Geoffrey’s life over many years was the St John Ambulance Brigade. His lifetime contributions, including his role as Operations Branch Commissioner for Queensland, saw him become a Knight of the Order of St John. After leaving the University of Queensland Geoffrey worked for the Department of Defence and after, filled in for doctors on leave, including a short stint with the Royal Flying Doctor Service. He stopped work in his late seventies. And his secret to old age? “Perhaps there is one, I don’t know,’’ he said.